Last night, I logged in long enough to run a few battlegrounds amidst completing a few dailies. One of my battlegrounds was the old Wintergrasp. (What a sad state of affairs that is nowadays, 3 horde attackers vs 3 alliance defenders. I had to kill npcs to get my 10 kills for a catapult). When done, I hopped into the portal to Dalaran and explored the now ghost town. Patchwerk is the raid daily.. Hmm. The fishing daily is the severed arm recovery. No new clothes for sale at the point vendors there.. Bored, I hearthed back home. As I worked through both the cooking and fishing dailies around Orgrimmar I realized that Blizzard has been making our life a little simpler. No longer need to fly across the map to fish up arms, or fish from specific zones. Everything is within 30 seconds of the capitol city. No longer needed the dreaded SPICE. Of course, after the first few levels, you have enough Dalaran cooking credits to buy it constantly. Alchemy needs crystal flasks. Why doesn't cooking need pots, dishes or serving cups? Can I get a serving platter that holds 100 services of something? Heck, think of the role play issues of holding 100 servings of South Island Ice Tea in your backpack. 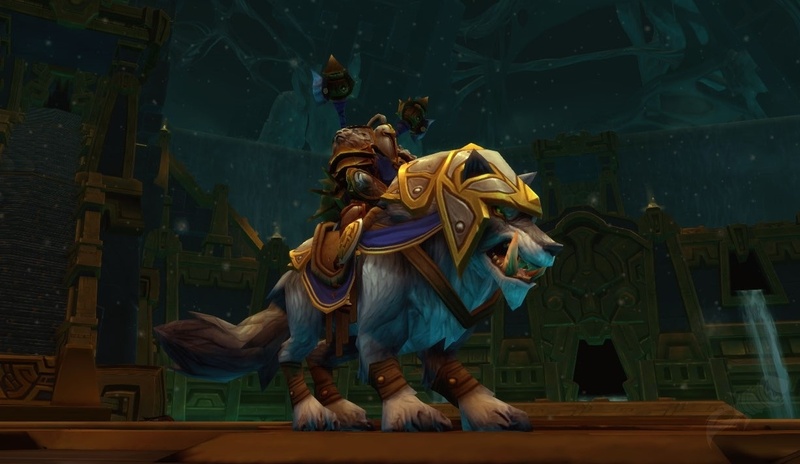 Why don't we need to feed our mounts? (yes I can only imagine the costs of feeding 10 drakes, 14 horses, 7 kodos, 7 raptors, etc.) Hunters need to feed their pets to keep them around? Horse stables? When I first started playing, I thought I'd need to rent a stable at each place you call a home. What items are you happy that Blizzard changed to simplify your life? Or what items are you happy the never implemented?